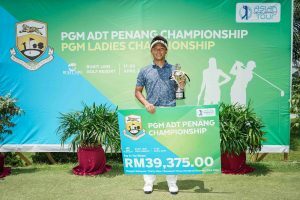 Johor, Malaysia, March 14: Japan’s Kazuki Higa fired a superb seven-under-par 65 to seize the second-round lead with American Kerry Sweeney at the PGM UMW ADT Championship on Thursday. 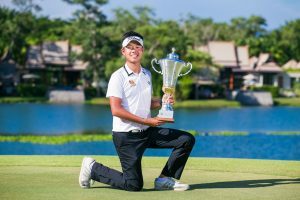 The 23-year-old Japanese marked his card with one bogey, six birdies and an eagle to share the lead on an 11-under-par 133 total with Sweeney who carded a 66 at the RM225,000 (approximately US$54,000) Asian Development Tour (ADT) event. 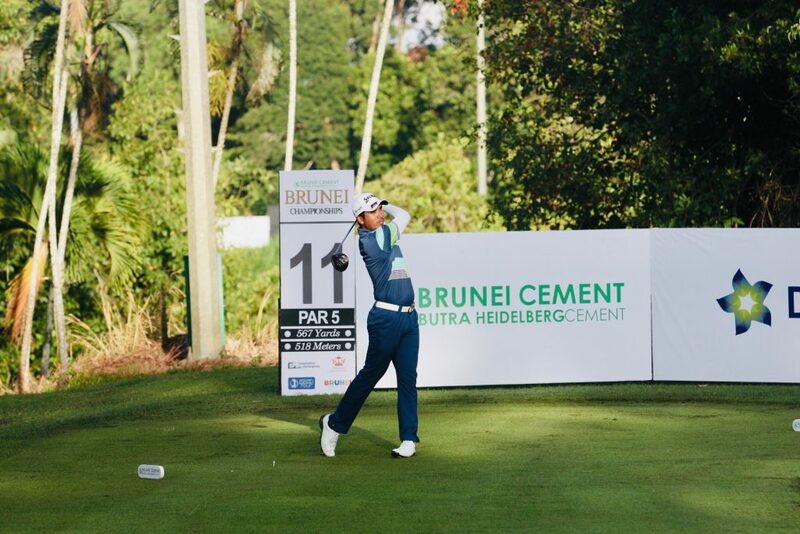 Malaysia’s Ben Leong (69) and Thailand’s Suttijet Kooratanapisan (66) trailed by one shot in third place while Japanese duo Naoki Sekito (67) and Reo Hiruta (68) take a share of the fifth spot at the Palm Resort Golf and Country Club. 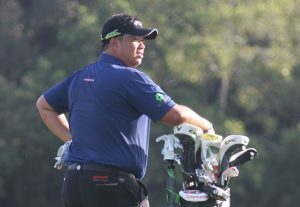 Malaysia’s Araf Shardd carded his first ace of his career on hole 17 with his nine-iron from 159 yards. Higa made fast charge with a birdie on hole one followed by an eagle on hole three before dropping his first shot on hole six. He went on to grab five more birdies on his way home to move into contention. “I played very well today and was putting well. 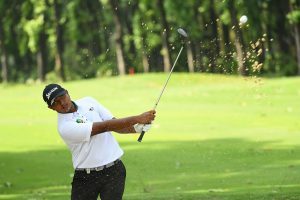 Pretty steady round for me and the only mistake I made was on hole six when I three-putted,” said Higa, who claimed his maiden victory in April last year in Bangladesh. 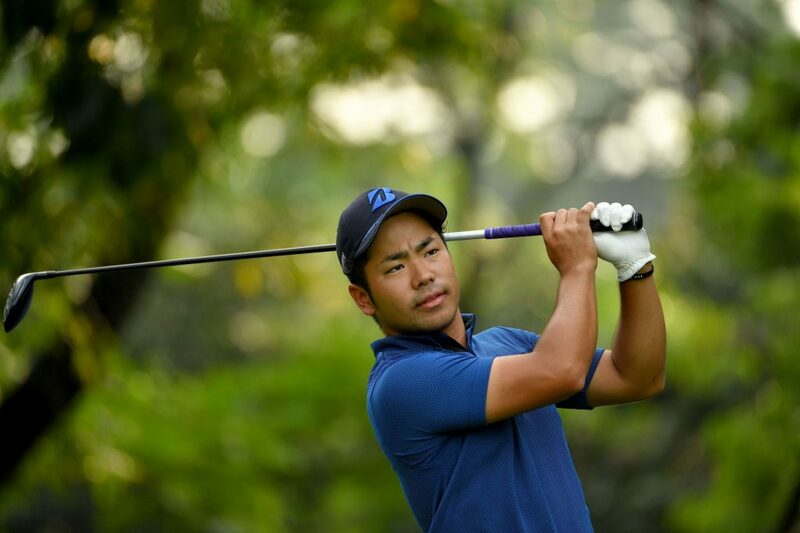 Coming off a joint runner-up finish at the ADT event staged on the same course last week, Higa will seize the opportunity to seek redemption this week. “I finished tied-second last week and played well. I just need to finish strong and make good use of the next two rounds so that I can win,” added Higa. The 23-year-old Sweeney nailed birdies on holes one, seven and 11 before dropping his first shot of the day on hole 12. He rallied back to grab two more birdies on holes 13 and 15 and an eagle on hole 16 thanks to a monstrous drive and a solid nine-iron that left him with an eight-foot putt. “I was putting well today and doing the right things around the greens so I felt really confident all day. I haven’t play hole 12 very well the past two rounds and bogeyed it again today. But I’ll just stay patient and keep doing what I’m doing,” said the American, who only missed six greens in his second round. Playing in only his third start on the ADT, Sweeney was thrilled to make the halfway cut for the first time this year since making the mark at the Asian Tour Qualifying School in January with a tied-21st result. “I am very happy that I made my first cut on the ADT in my first three starts this year. After last week I just told myself to stay positive and keep going and I’m glad my game is trending in the right direction,” added Sweeney, who is chasing for his breakthrough victory this week. A total of 54 players made the halfway cut set at one-under-par 143.